We have officially completed Phase 1 of our move! Everything we own* is out of our house and in storage, and we’ve moved in with friends in Raleigh. Eventually we’ll be house/dog-sitting for them, but for now we’re just taking up a lot of their space. Phase 2 is a teeeeny rental place in Wilmington that I’m optimistically referring to as our “vacation house”, where we’ll be until we can move into our actual new house (c’mon, Phase 3!). Even if your kitchen isn’t packed into boxes, there are days you need dinner to be extra easy. I’m compiling a few “faster than fast food” meal ideas for ya – it’s even a new category on the Recipes page! You know I’m all about having a stash of freezer meals or making meals ahead, but sometimes you don’t have anything prepped or thawed and you need dinner now. And while there are a lot of meals that you can make pretty quickly, part of the siren song of takeout is that at the end, you don’t have to do any dishes. Maybe you can make and be eating pancakes or a veggie stir-fry faster than you can pick up fast food, but when the clean up time is factored in, a bunch of meals that are “fast” don’t make the “faster than fast food” cut. My go-to in this category is the humble (yet glorious) pita pizza. 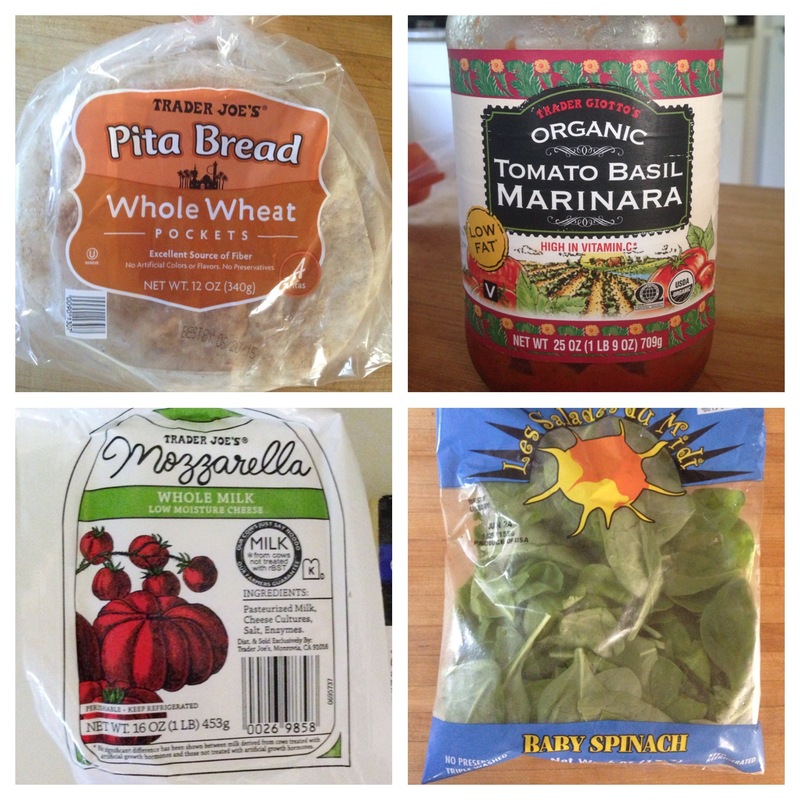 I buy whole-wheat pitas from Trader Joe’s (they’re great for sandwiches, a burger bun stand-in, and making pita chips, too). Then a jar of sauce (I always have one on hand), shredded or thinly sliced mozzarella, an optional handful of spinach. These are perfect for easily customizing to everyone’s tastes! Dirty dishes tally: 1 sauce spoon. 1 cheese knife. Plates (hey, paper!). Scissors for cutting the pizza. The end. I usually use the toaster oven, and it’s pretty quick to rotate a couple of pizzas through, but you can also broil several at a time in the oven (you can put them right on the oven rack, but if you fear cheese drips, a foil-lined pan works too). If you like the pita extra crunchy, pre-toast it for a couple of minutes before topping and toasting again! 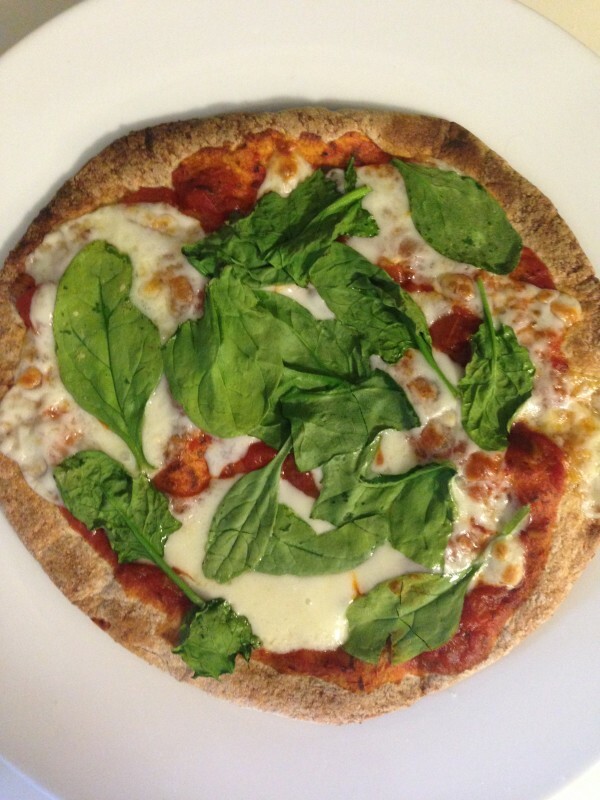 We have these little pita pizzas for lunch or a quick dinner All The Time. Just add carrot sticks and fruit! 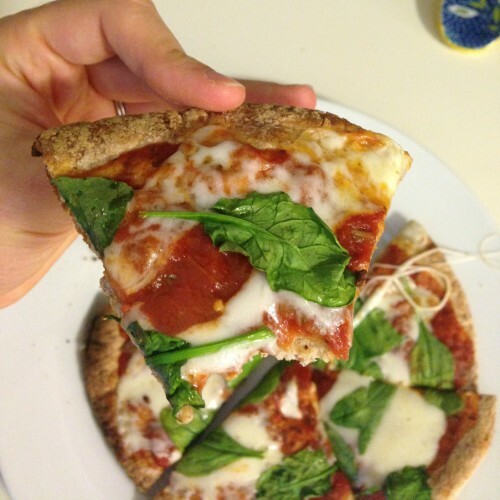 There’s something mentally satisfying about having 6 pieces of pizza, even if they’re little!